Business Insider/Jessica TylerHome Depot offered a lot more than Ace Hardware did. 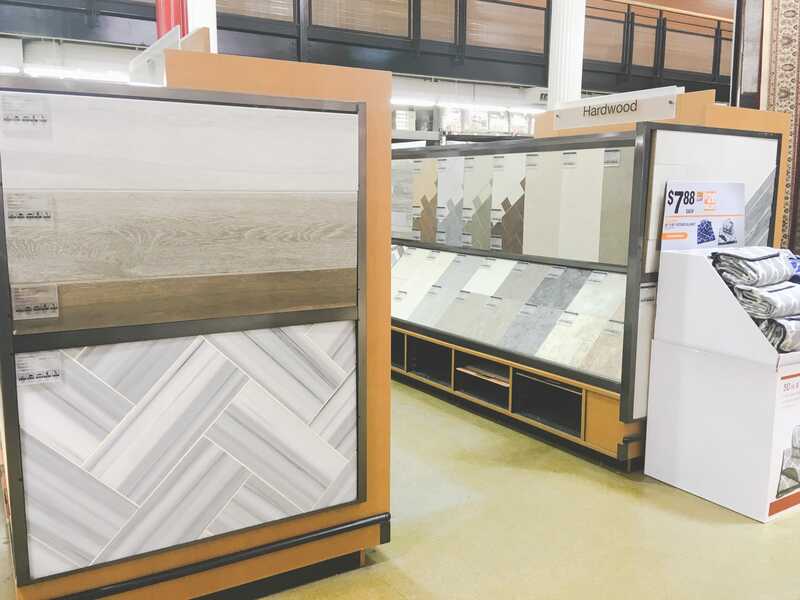 Home Depot and Ace Hardware, two of the biggest home-improvement stores in the United States, offer a similar product selection and help with home-improvement projects. 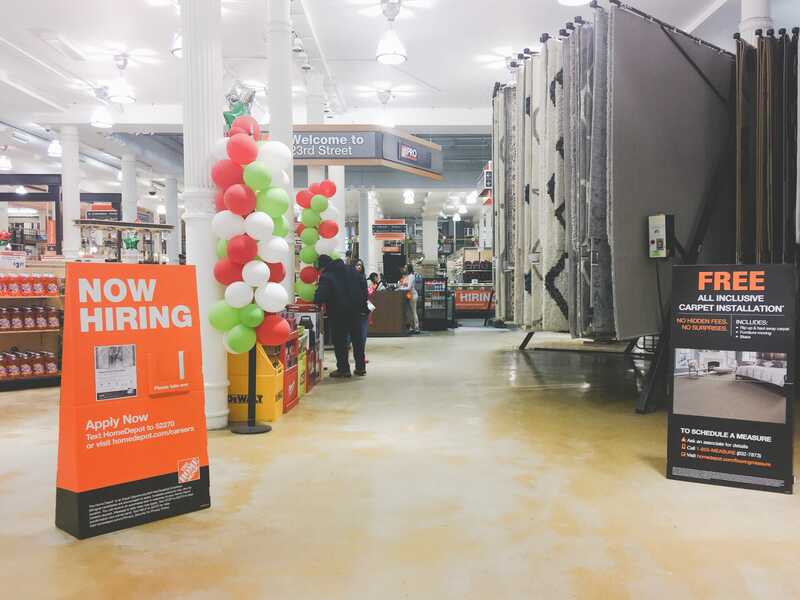 Though the stores sell many of the same products,Home Depot‘s setup appears to be geared more toward professionals – like contractors and interior designers – than Ace Hardware’s. 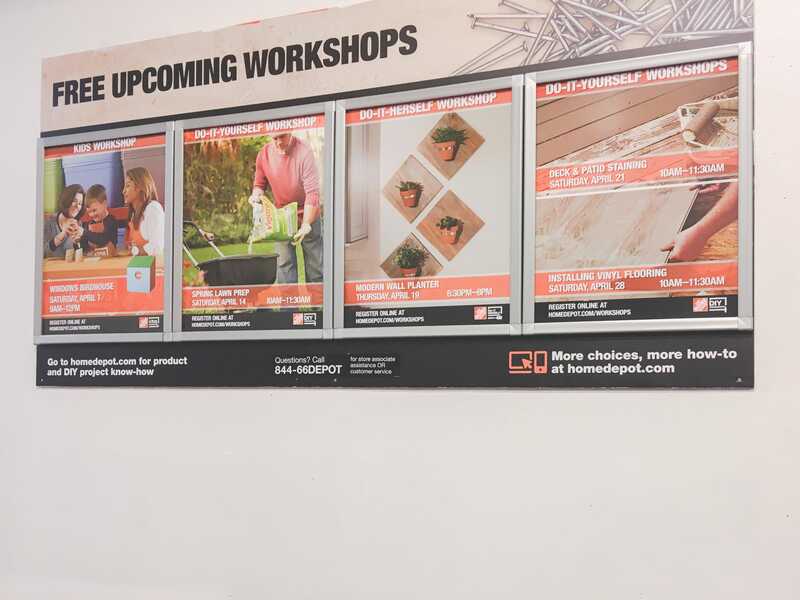 Home Depot reported on Tuesday that same-store sales were up 8% in its most recent fiscal quarter, and Ace Hardware reported in May that first-quarter sales were up 2.2%. 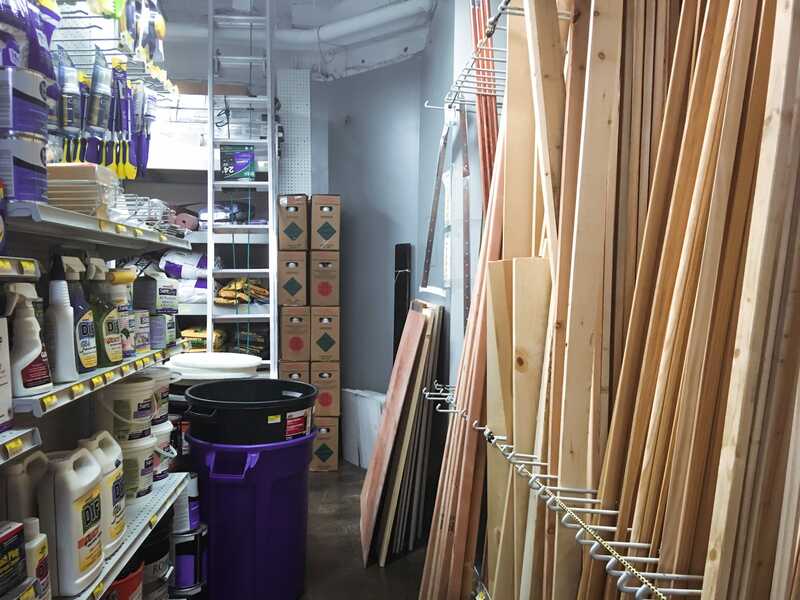 We visited locations of both retailers and found that Home Depot had significantly more to offer and was nicer to shop at than Ace Hardware. Home Depot and Ace Hardware compete to be the go-to store for all things home improvement. 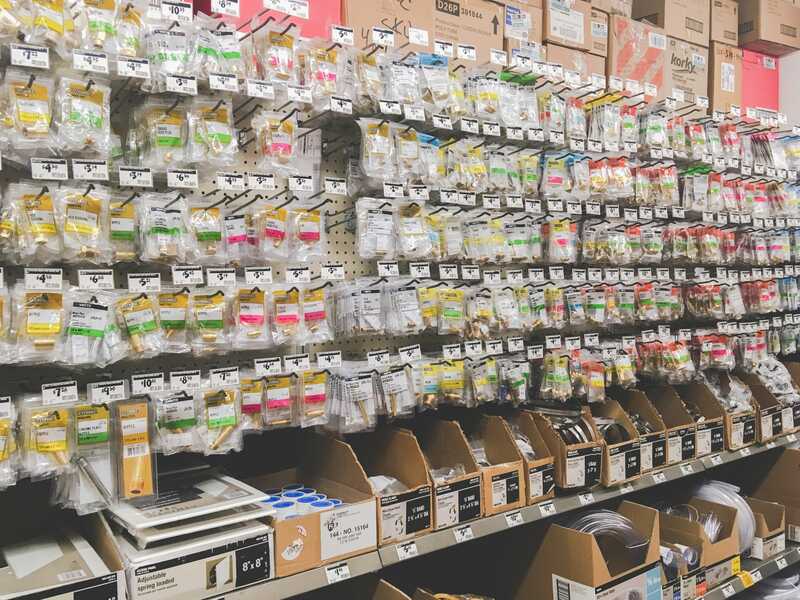 They stock everything you might need to fix up your home, including kitchen and bath fixtures, screws and bolts, paint, and tools. 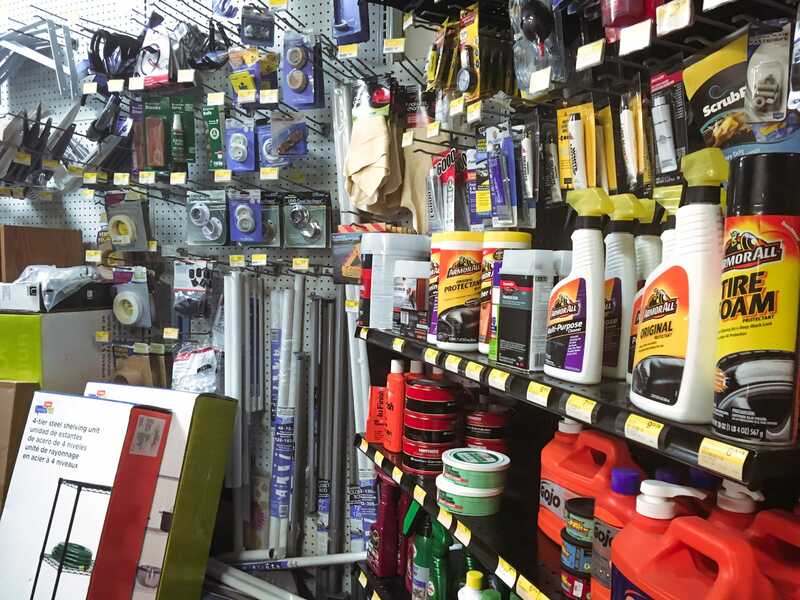 Both stores offer in-store pickup and do-it-yourself tips. Home Depot has 2,284 stores in North America, while Ace Hardware has 4,418 stores, most of which are independently owned and operated. 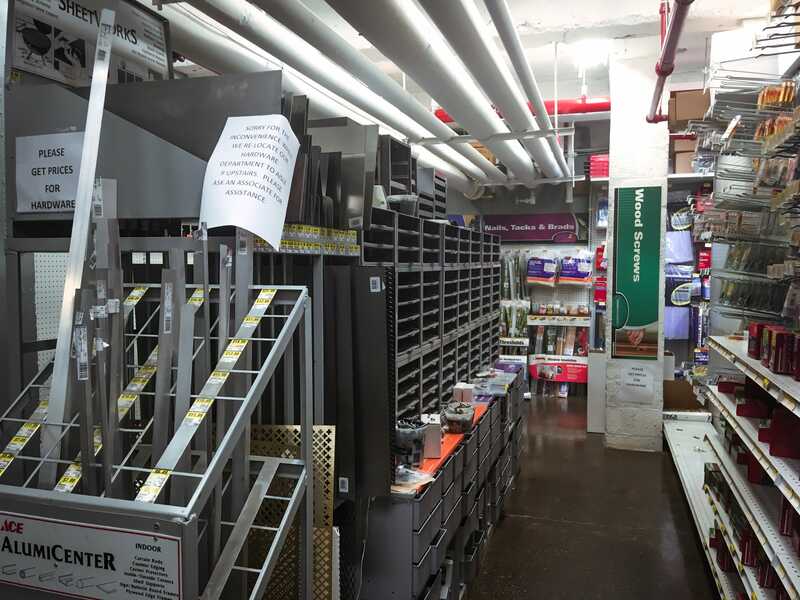 However, Home Depot stores are typically much larger than Ace Hardware stores. 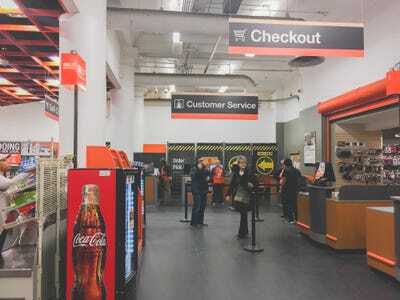 When visiting outposts of both retailers, we noticed that Home Depot felt like a massive warehouse, whereas Ace Hardware felt more like a local hardware store without the flashy showrooms and massive promotions that Home Depot had. Both retailers have performed well as of late. 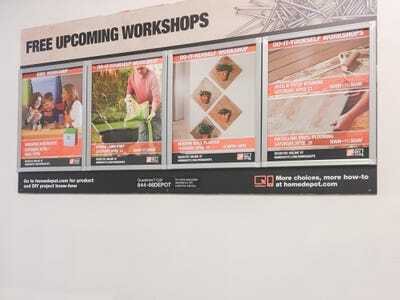 Home Depot reported on Tuesday that same-store sales were up 8% in its most recent fiscal quarter, and Ace Hardware reported in May that first-quarter sales were up 2.2%. 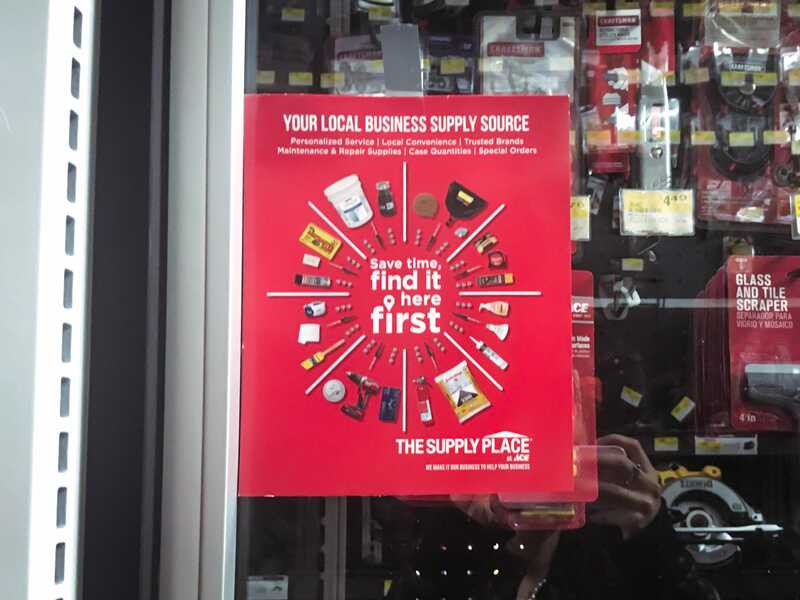 The target market is another notable difference between the two stores. Home Depot tends to appeal more to professionals – like contractors, interior designers, and plumbers – while Ace Hardware welcomes a more do-it-yourself crowd. 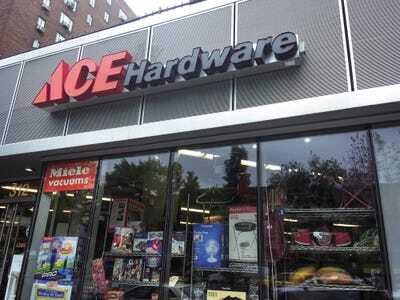 I visited an Ace Hardware store in the East Village. 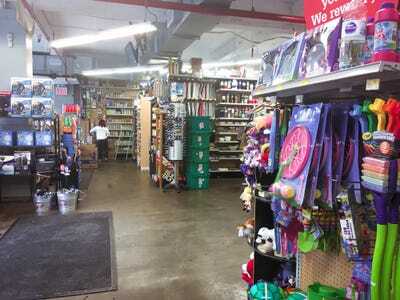 The store was small and carried a lot of household items and convenience-store products like hand soap and toys. 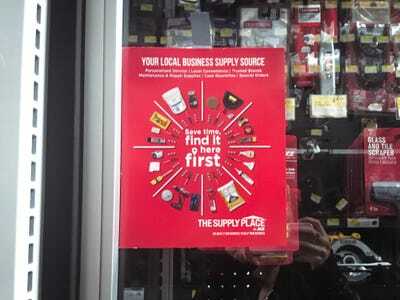 It was a pretty random selection towards the front of the store. 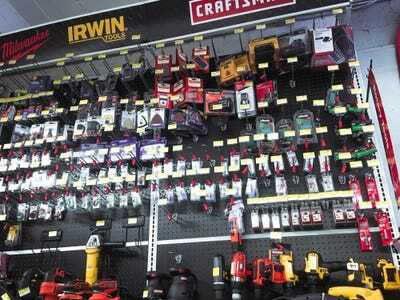 The store had a ton to offer in terms of tools, and it felt more like a local shop than a massive chain store. 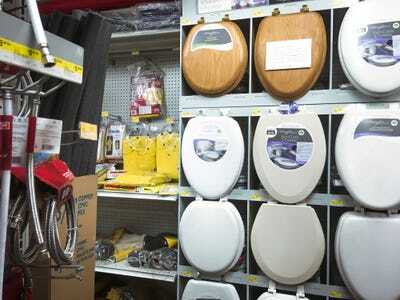 Everything was clearly labelled in this part of the store, and most products cost under $US20. 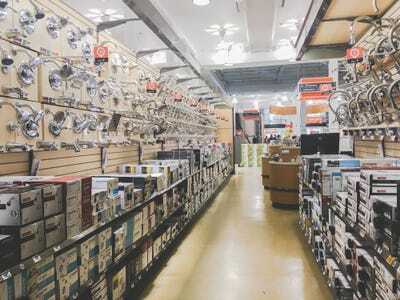 It was a bit dizzying to walk through the narrow aisles stacked floor to ceiling with tools. There was a ton to choose from. … and an assortment of other random products. While there was a lot there, it was very cluttered, and it could be hard to find a specific product. 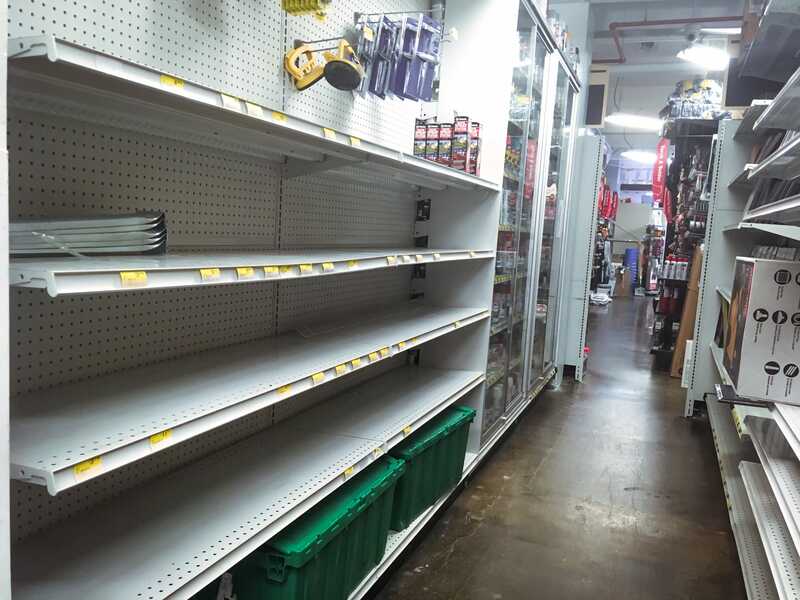 One aisle was completely empty. 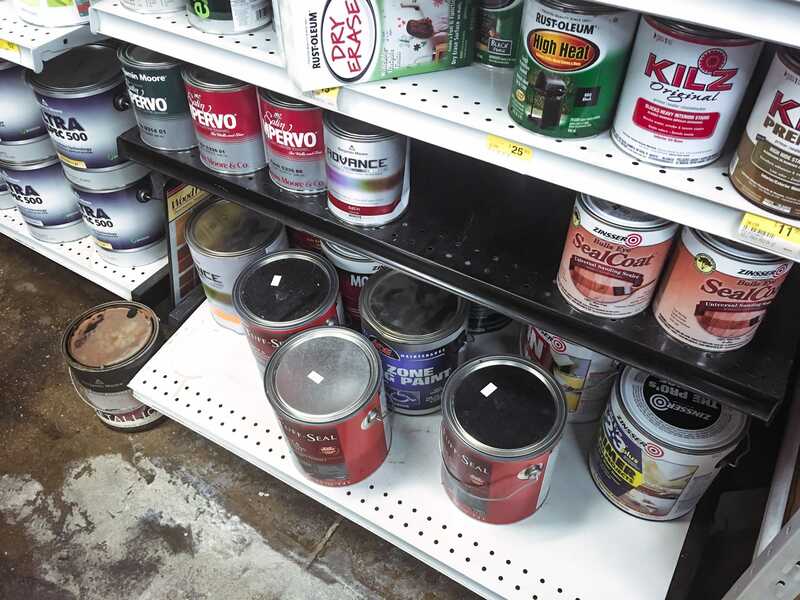 The paint aisles were a bit of a mess as well. One of the shelves seemed like it was about to topple over, and paint cans were everywhere. 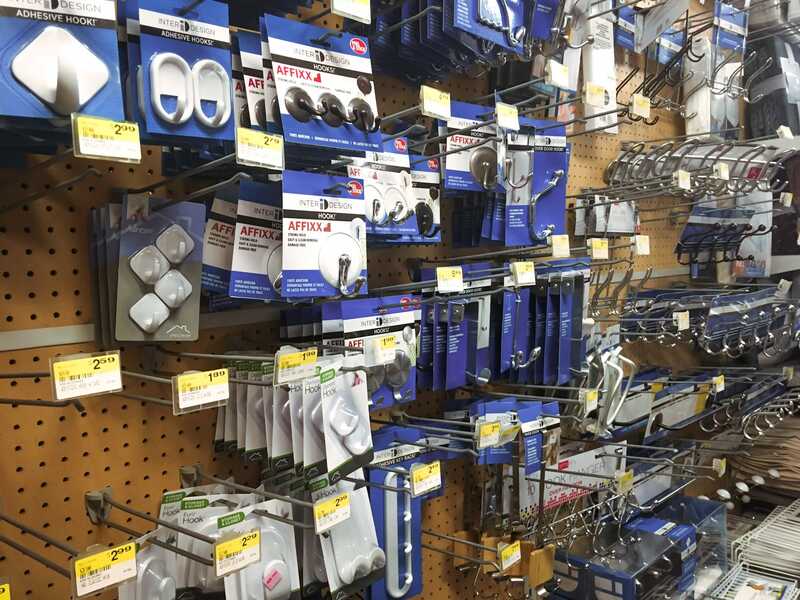 The rest of the upper level had more general household products like Command hooks and coat racks. 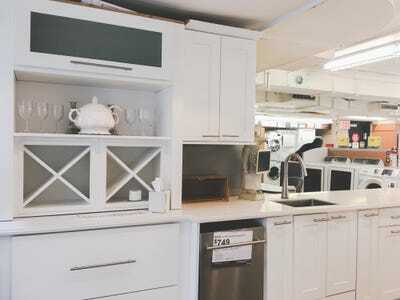 It also had a big selection of kitchen and bath products, like pots and pans, soap dispensers, and shower caddies. 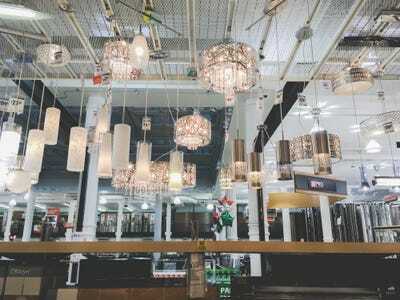 Most fixtures cost less than $US20. 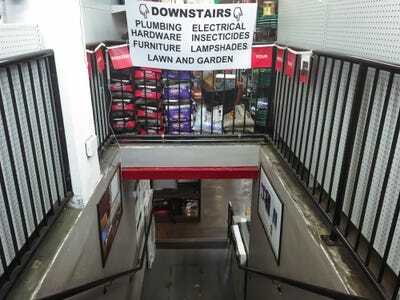 What I saw on the lower level was underwhelming. … but the entire lower level was still unorganized and poorly labelled. Even though the store had a lot of products to offer at low prices, it was very cluttered and disorganized. 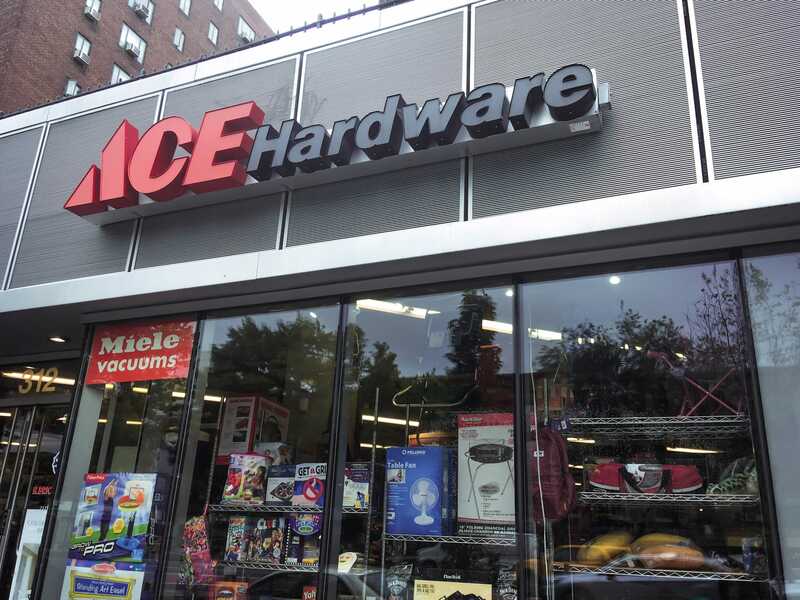 There isn’t a set policy for price matching with competitors at Ace Hardware. Most Ace stores are independently owned and operated. 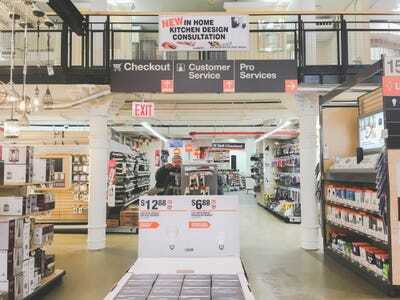 The Home Depot I visited was in the Flatiron District. 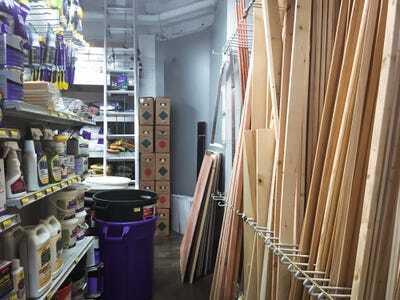 It felt more like a warehouse than Ace Hardware did, but it was brighter, cleaner, and immediately had more to offer than its competitor. 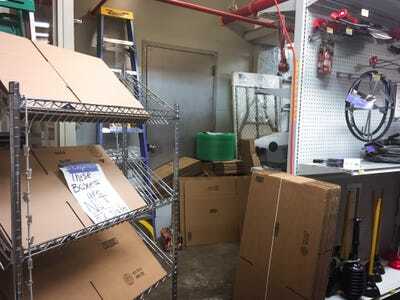 Household items were to the left of the entrance, similar to Ace Hardware, and a flooring department — something that Ace Hardware did not have — was to the right. The selection was impressive. 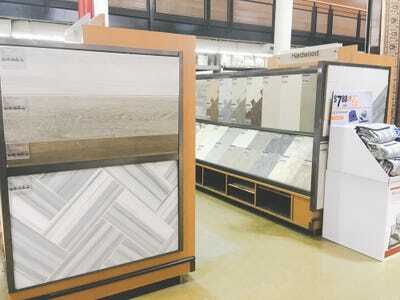 Home Depot had a massive selection of all types of flooring in a variety of styles and patterns. 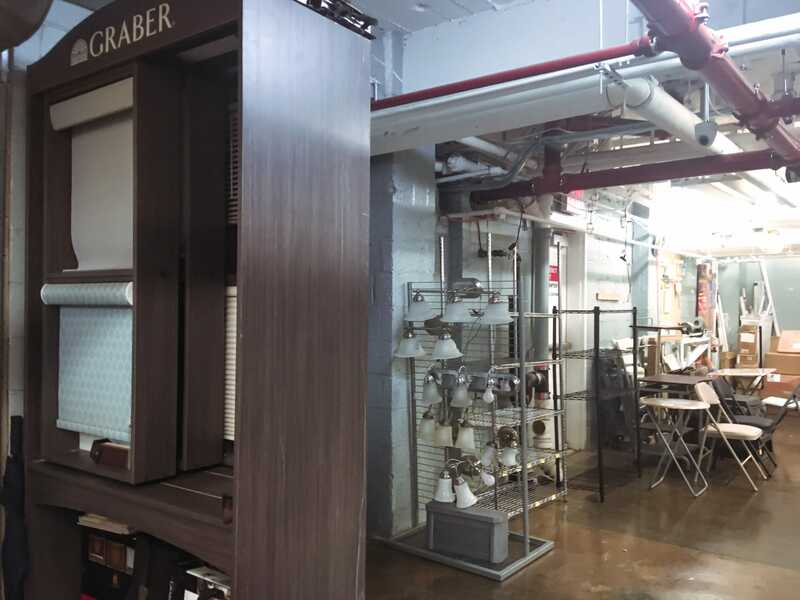 There were tons of fixtures for kitchen and bath, and even though there was a much bigger variety than at Ace, it was more expensive. 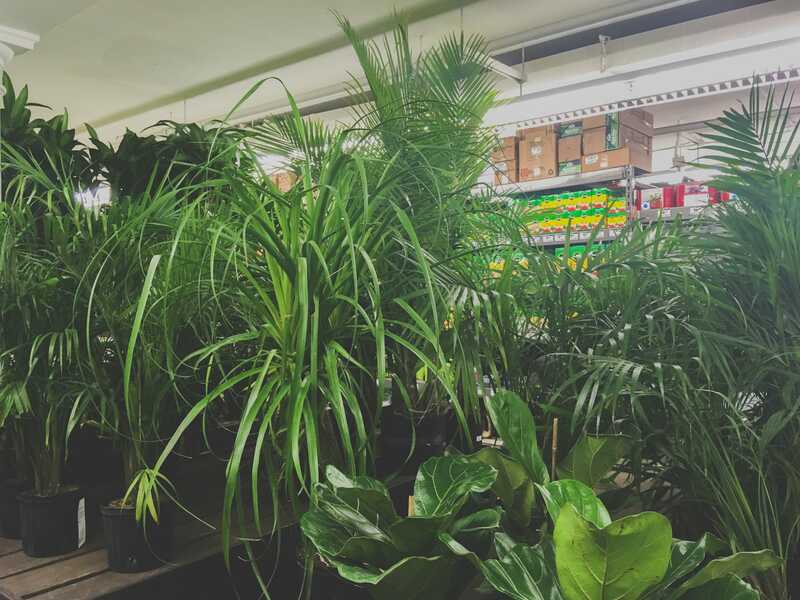 … and a gardening department, all of which Ace Hardware did not have. 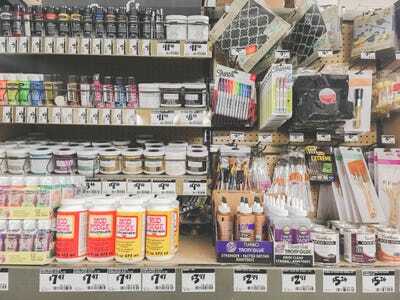 The stores had a similar selection of craft supplies, paint chips, and other smaller products. 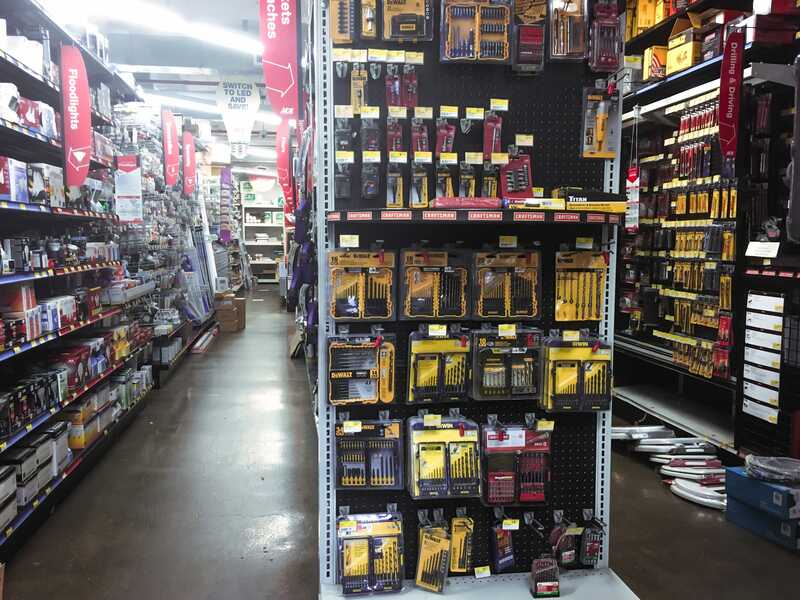 Home Depot had a comparable selection of small products like screws, nuts, and bolts. While shoppers didn’t have to worry about writing down the prices and quantities like at Ace, nothing at Home Depot was labelled, so you’d have to know what you’re looking for. 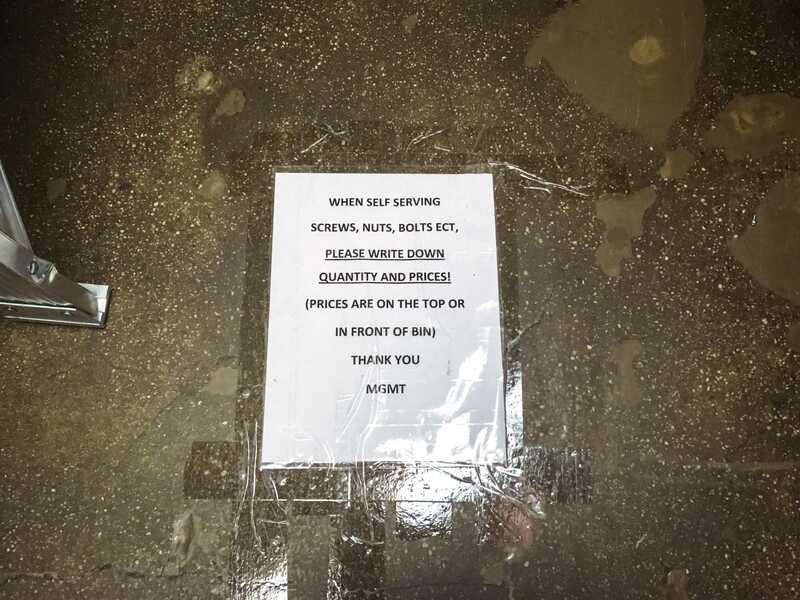 That said, there were plenty of services for non-professionals, such as workshops where customers can learn how to do things like stain a patio. 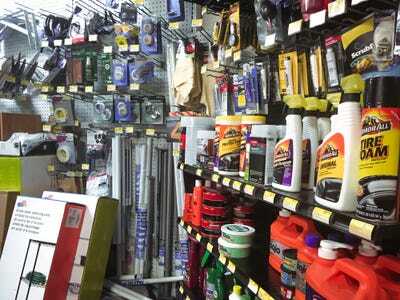 Ace doesn’t offer such services in store, but a section of its website is devoted to home-improvement help. 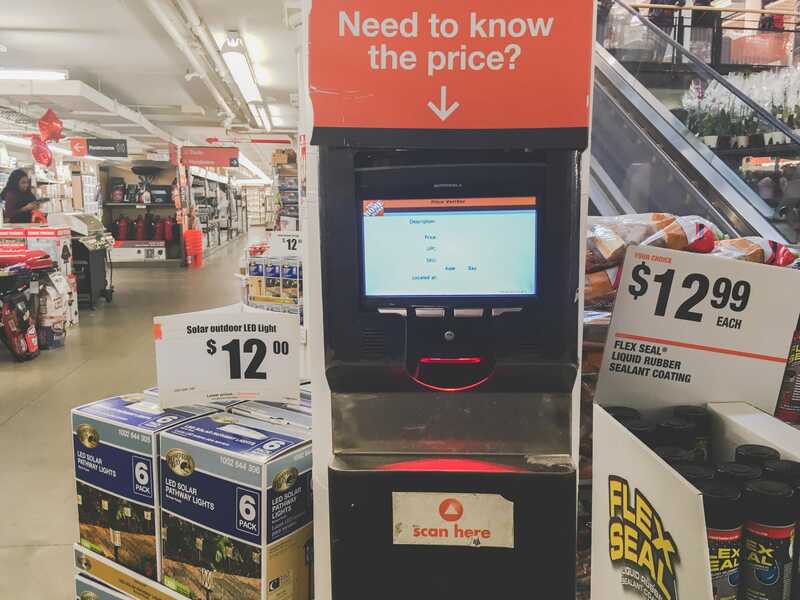 There were price-check scanners available throughout the store. For most items, Home Depot was more expensive. 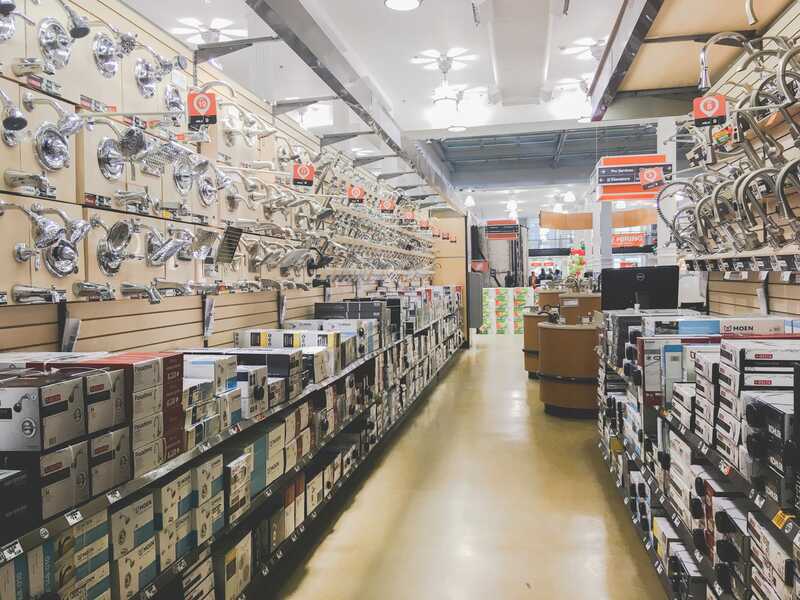 However, Home Depot has a price-match policy that guarantees it will beat competitors’ prices by 10%. 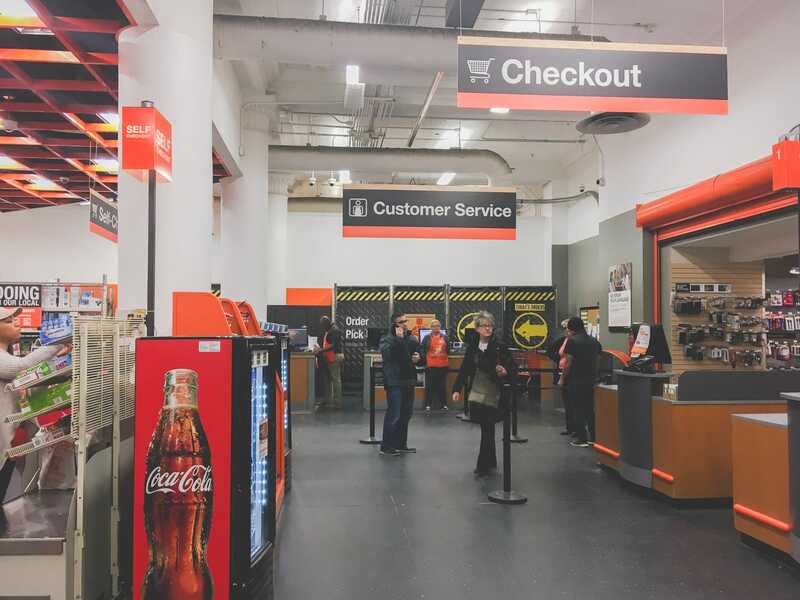 This store offers same-day delivery anywhere in Manhattan, starting at $US21. 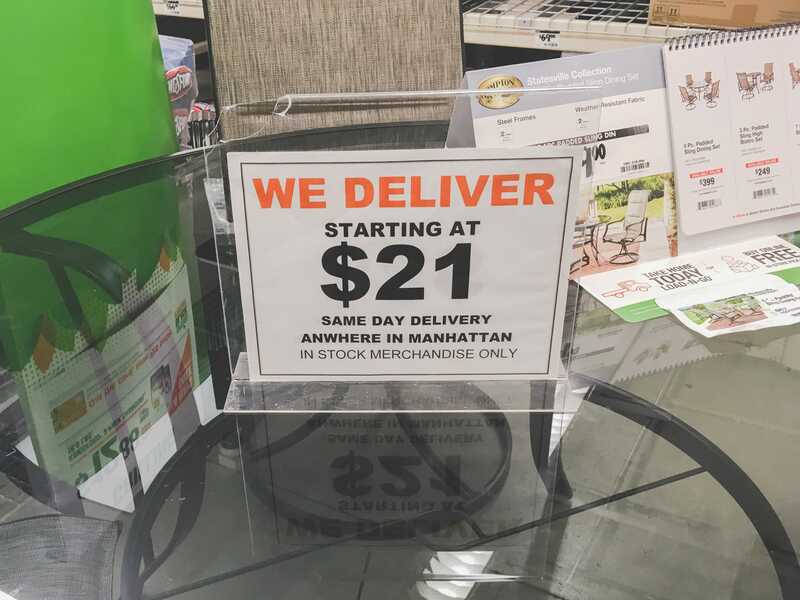 Other Home Depot locations also do this, with prices varying based on the order size. Ace Hardware did not have something similar. 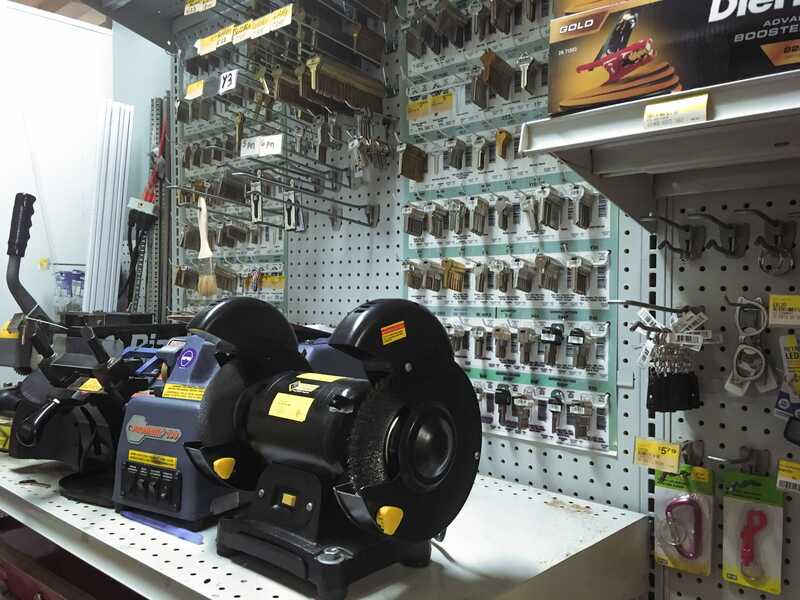 Overall, the store felt geared towards professionals, but it seemed to have everything you need to complete a home-improvement project. Design consultations, price matching, and a lenient return policy add to the appeal. 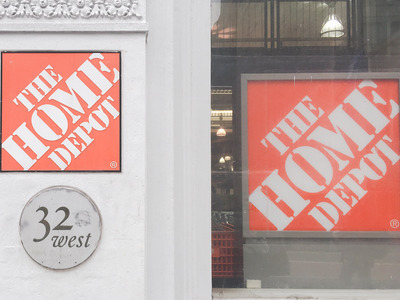 Home Depot was the clear winner between the two stores. It was much more organised, offered a greater variety of products, and had more shipping options and lenient return policies.